Lincolnshire’s Police and Crime Commissioner has signed up to sleep rough at YMCA Lincolnshire’s Sleep Easy. PCC Marc Jones has signed up to the YMCA’s Sleep Easy event when sponsored sleepers spend the night battling the elements in the grounds of Lincoln Cathedral. It is the tenth year the YMCA in Lincolnshire has hosted the event. Last year more than 60 people took part and the charity hopes to double the numbers this year as it strives to raise £30,000 for the Lincoln Nomad Centre. The Police and Crime Commissioner said: “Sleeping rough for one night doesn’t begin to replicate the horrific conditions and hardship faced by those who are genuinely homeless. “But an event like this is vital for raising much needed funds and for raising the profile of an issue that our society needs to face and deal with. “Sleeping rough for one night doesn’t begin to replicate the horrific conditions and hardship faced by those who are genuinely homeless. “I am delighted to be able to take part, help raise money and reacquaint myself, albeit briefly, of how difficult it can be to live without the security, warmth and shelter of a roof over your head. Last winter Mr Jones put together and led a team of volunteers to keep a night shelter in Boston open when it faced closure during sub-zero temperatures. When Mr Jones heard the homeless shelter may not be able to open on one of the coldest nights of the year he put out a call for help and friends and colleagues rallied to help. The volunteers opened the doors to 26 homeless people. The PCC also pulled a range of agencies together to support the City of Lincoln Council in creating a new team in the city to help rough sleepers find accommodation, address addiction and mental health issues; this included funding an outreach worker from proceeds of crime. 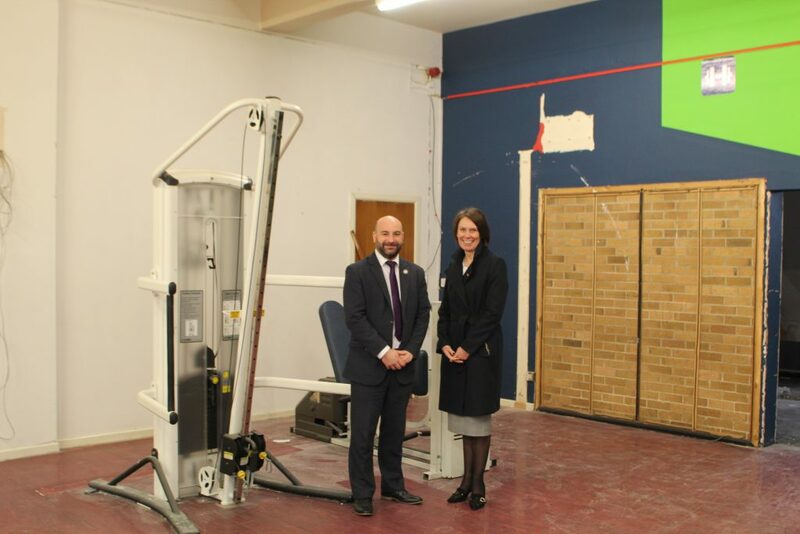 Caroline Killeavy, CEO of YMCA Lincolnshire, said: “We are delighted to have the Police Crime Commissioner on board and are grateful for both his support and advocacy. It’s our 150th birthday this year and our tenth Sleep Easy too, so we wanted to make this year’s sleep out a stand out event. So far more than 55 people have signed up for this year’s event which takes place at Lincoln Cathedral from 7pm on Friday, March 15, until 7am the next day.